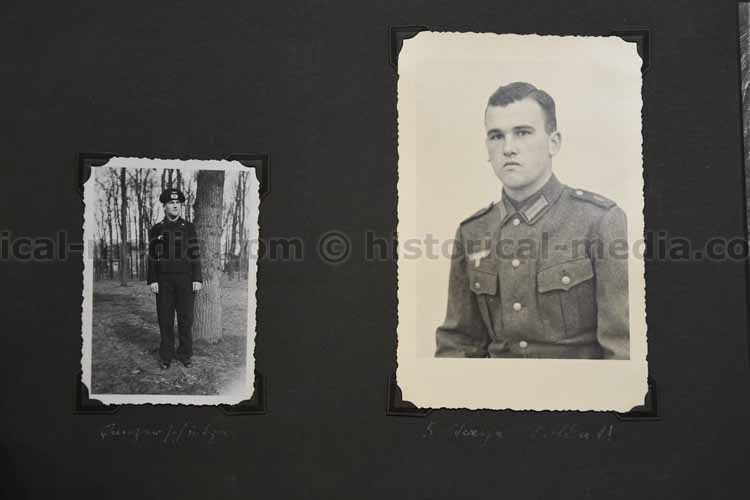 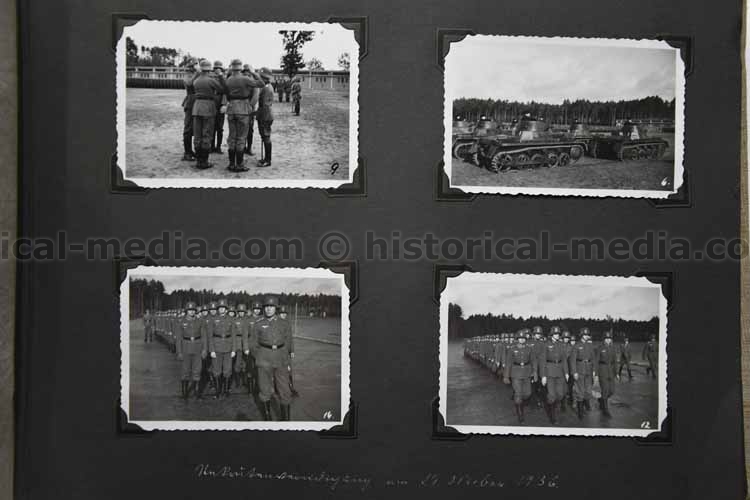 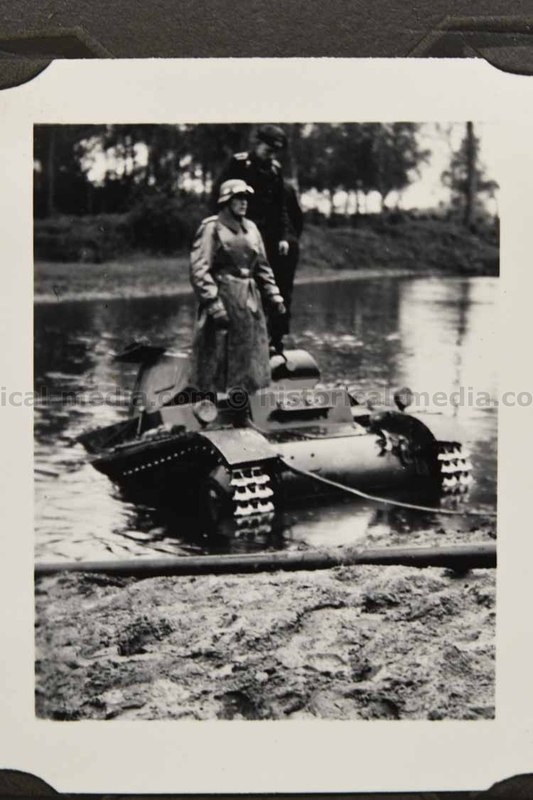 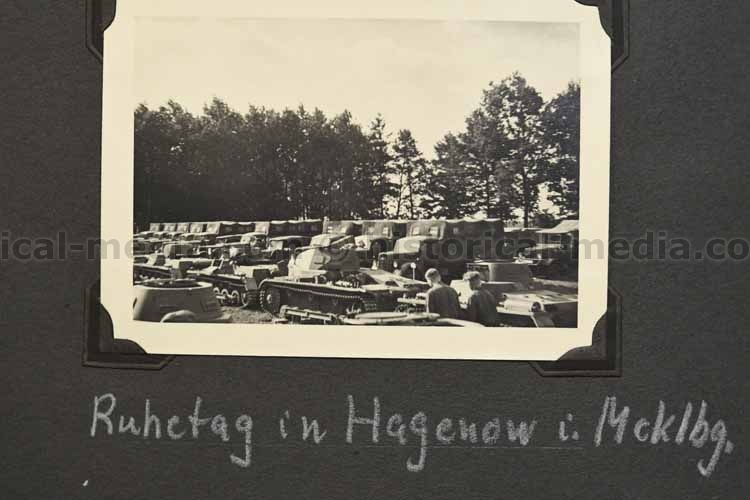 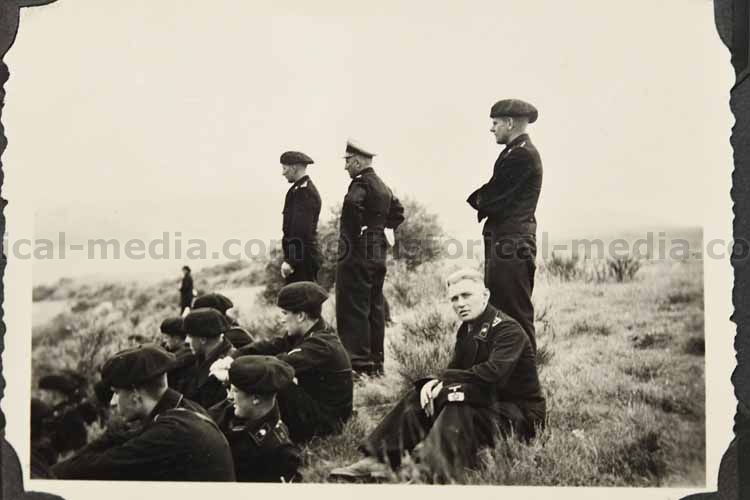 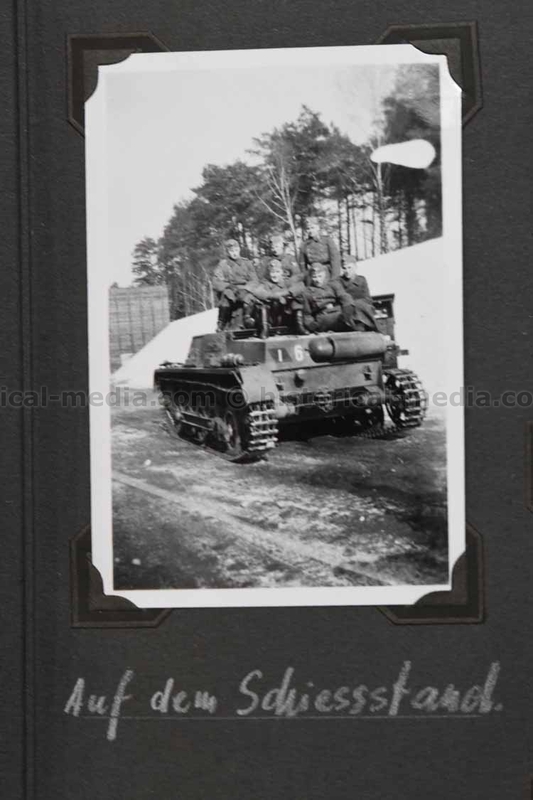 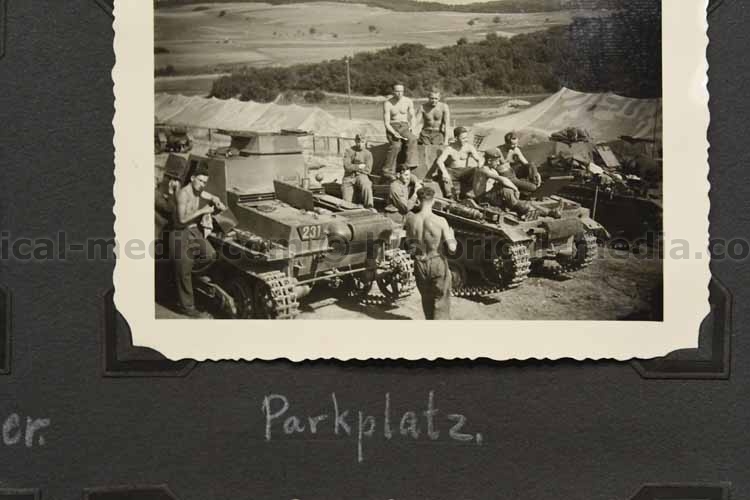 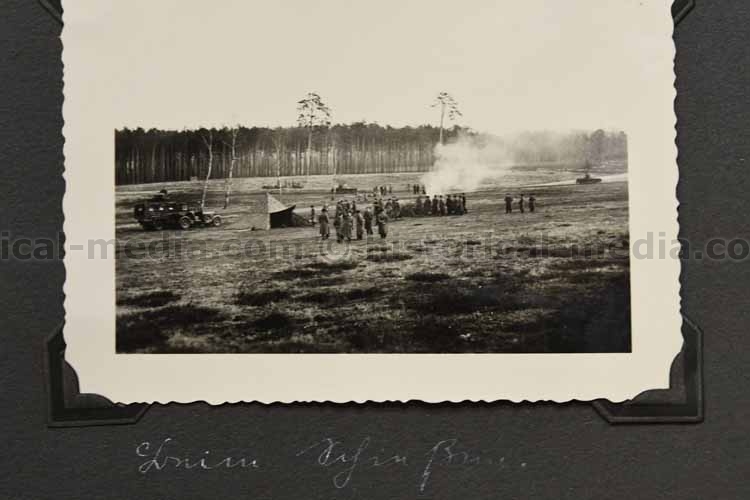 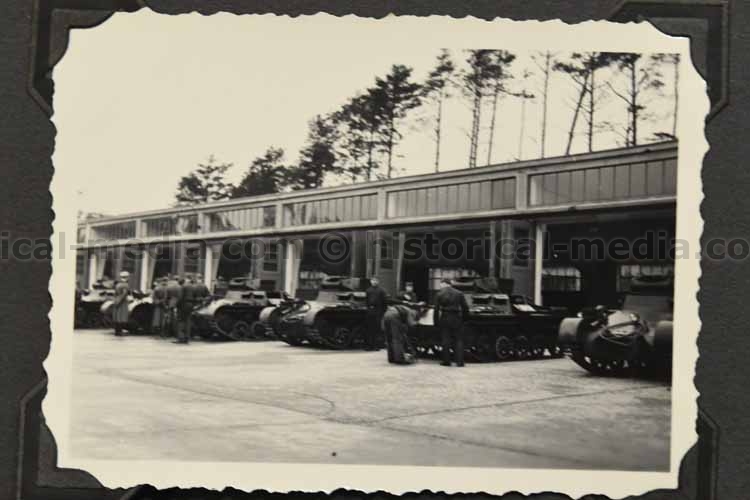 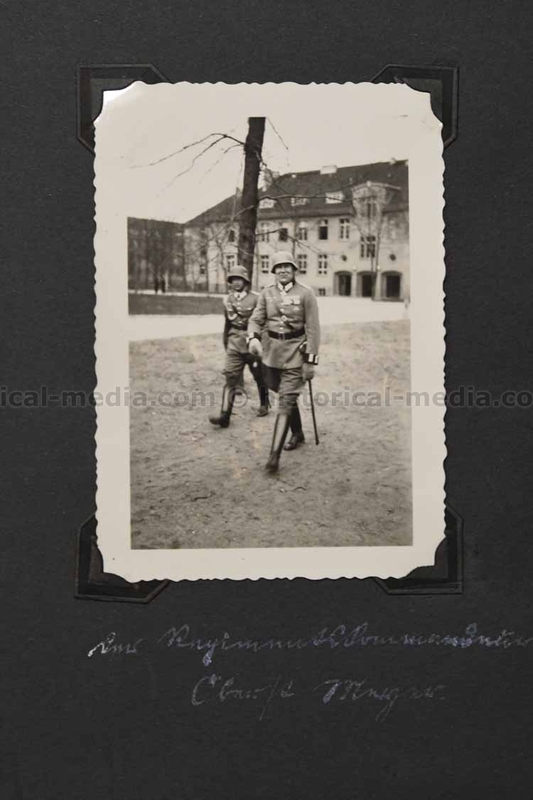 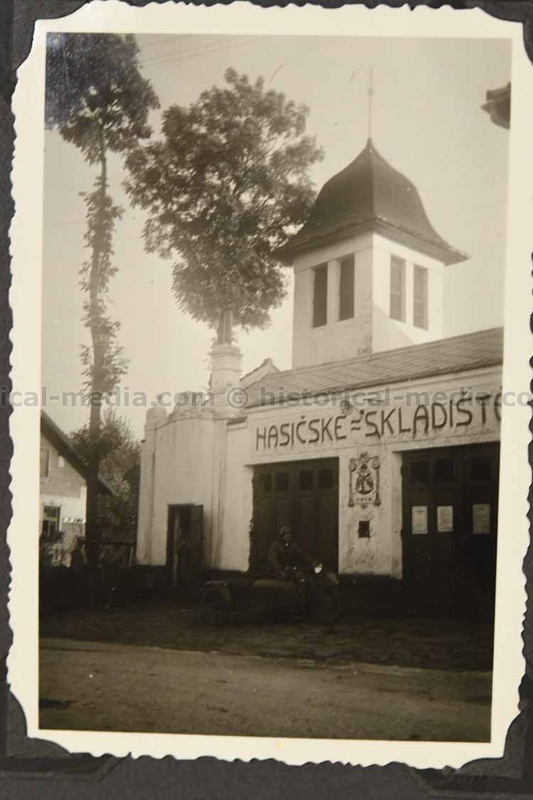 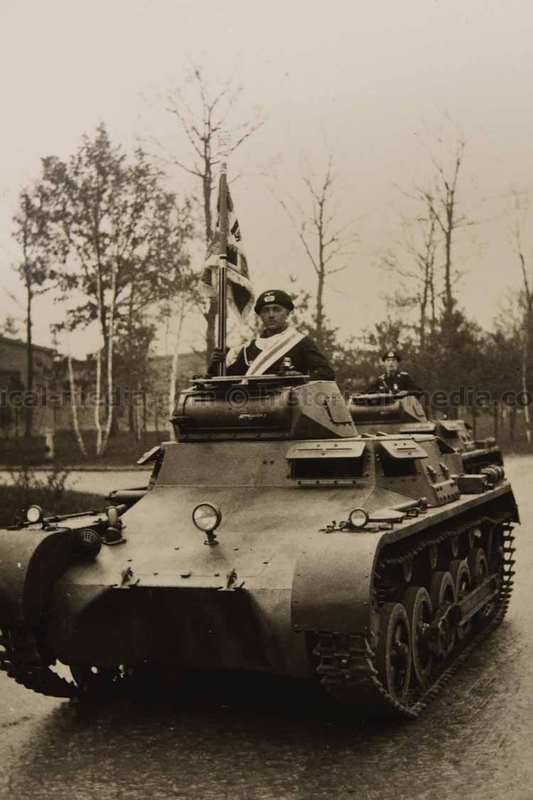 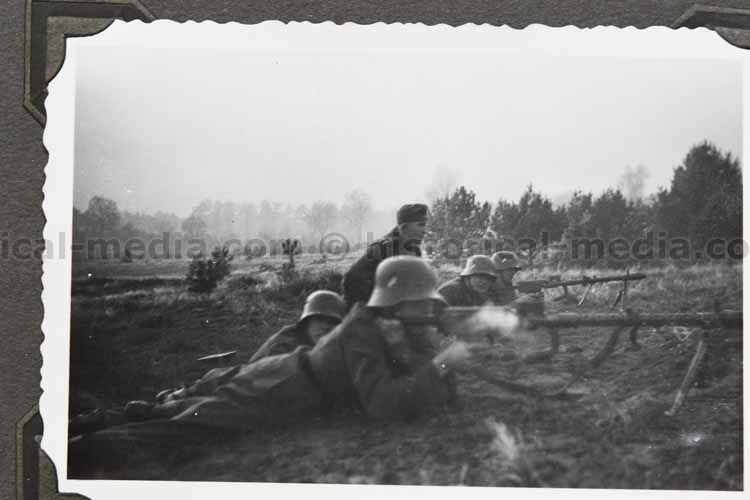 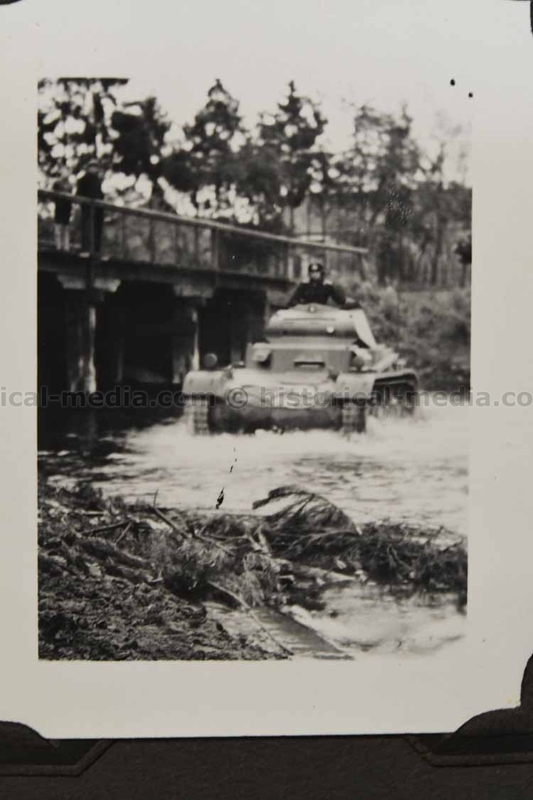 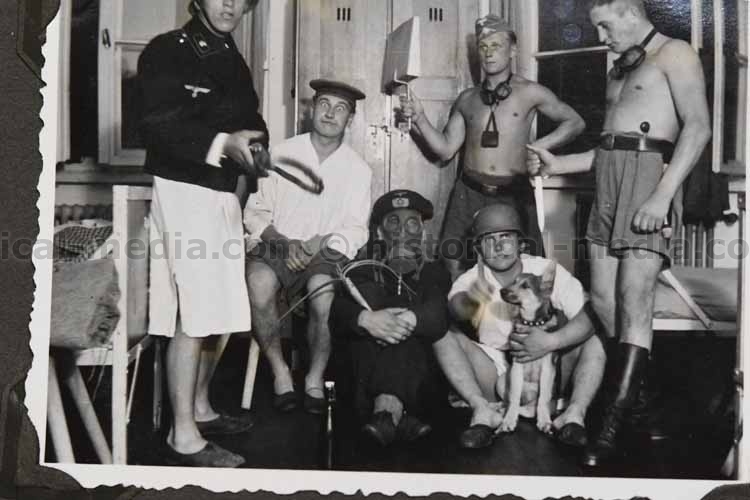 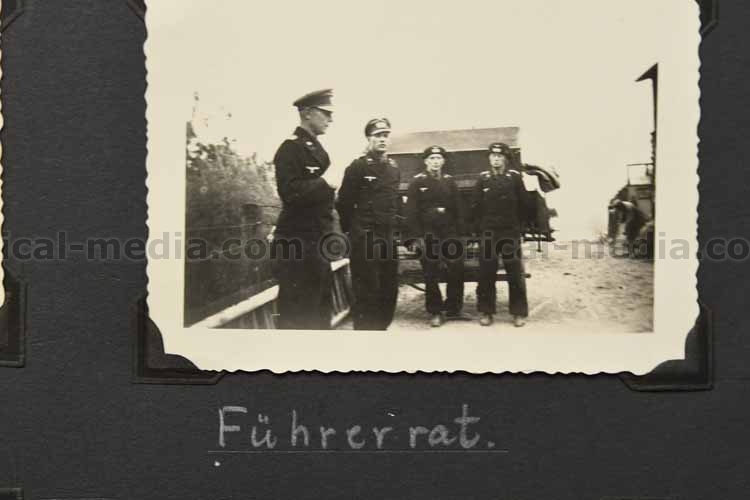 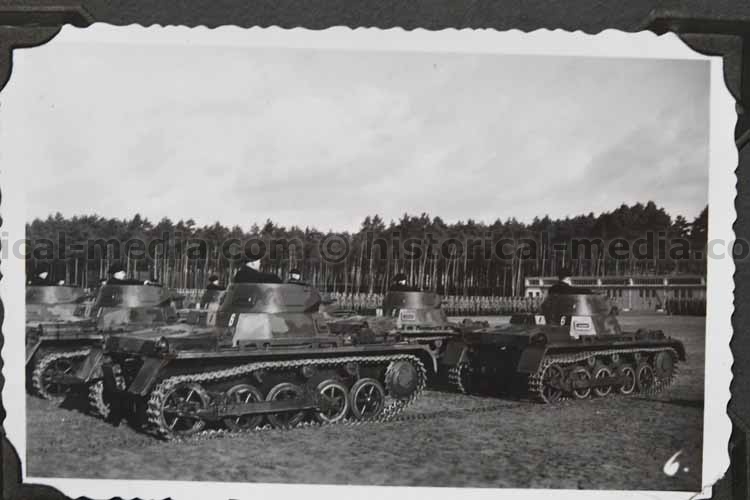 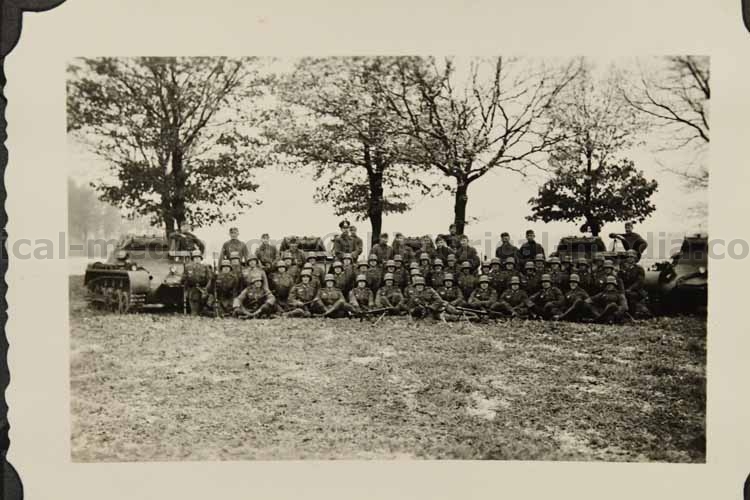 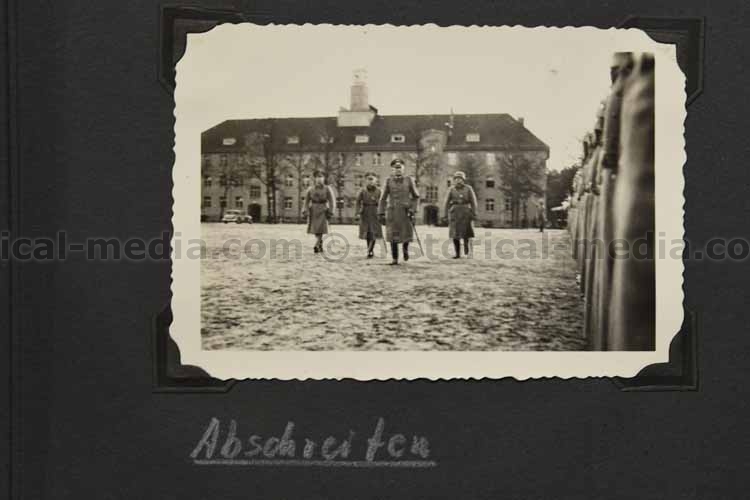 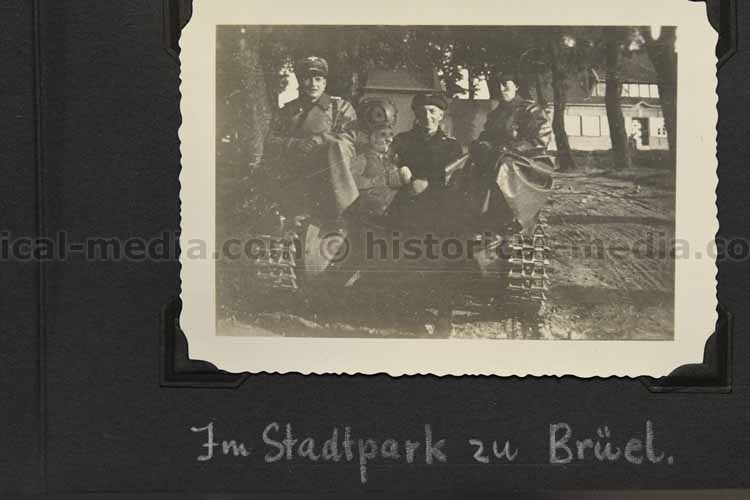 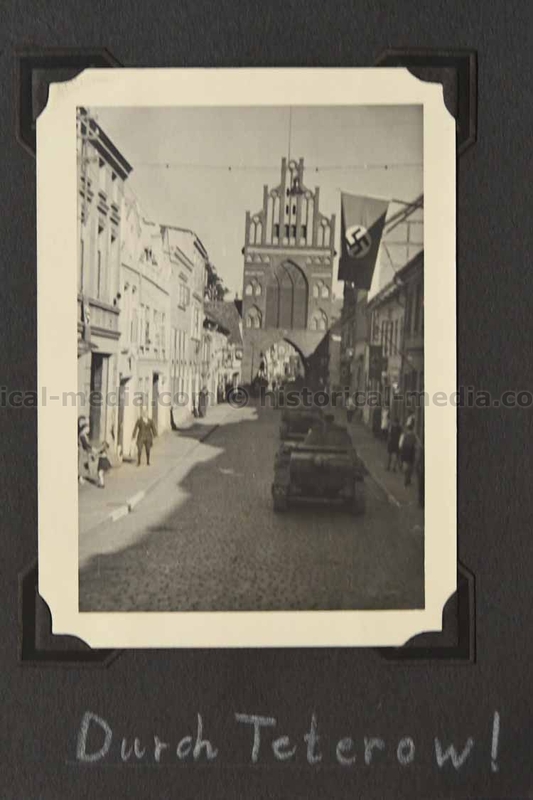 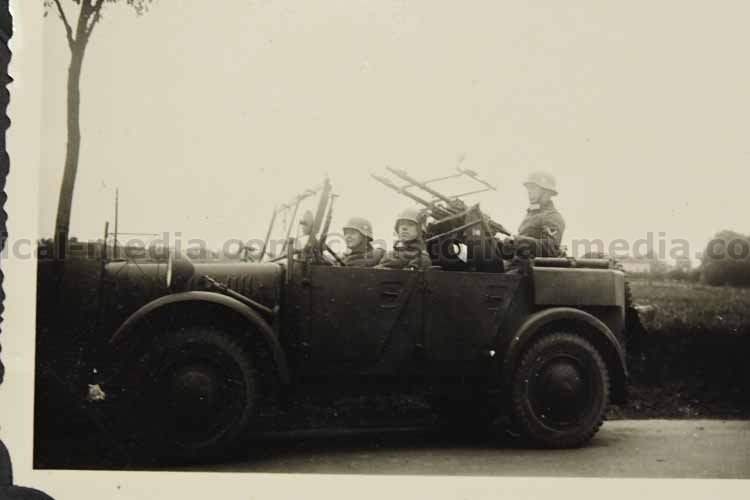 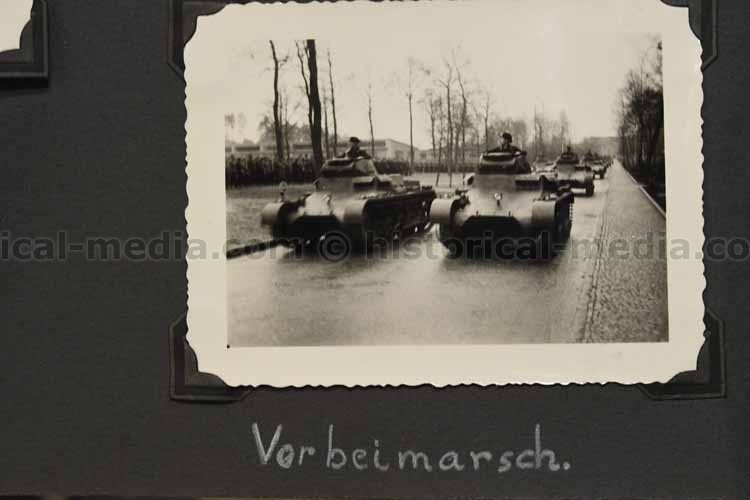 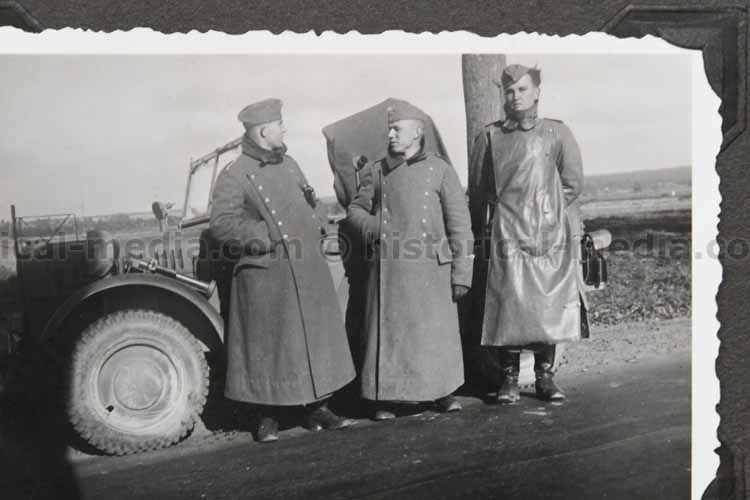 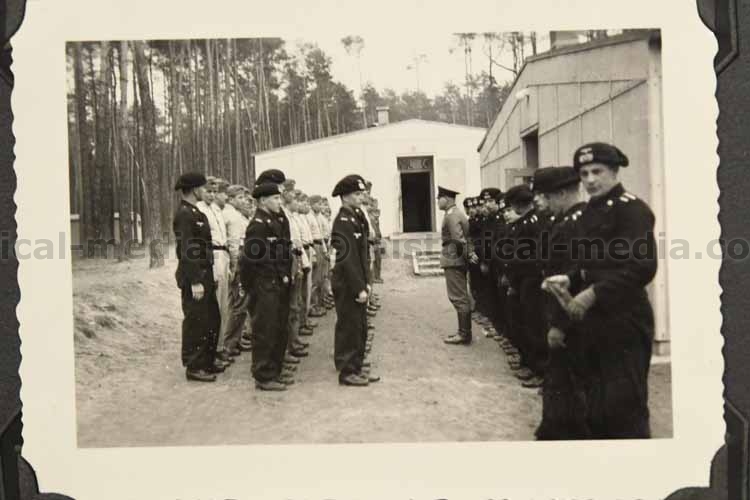 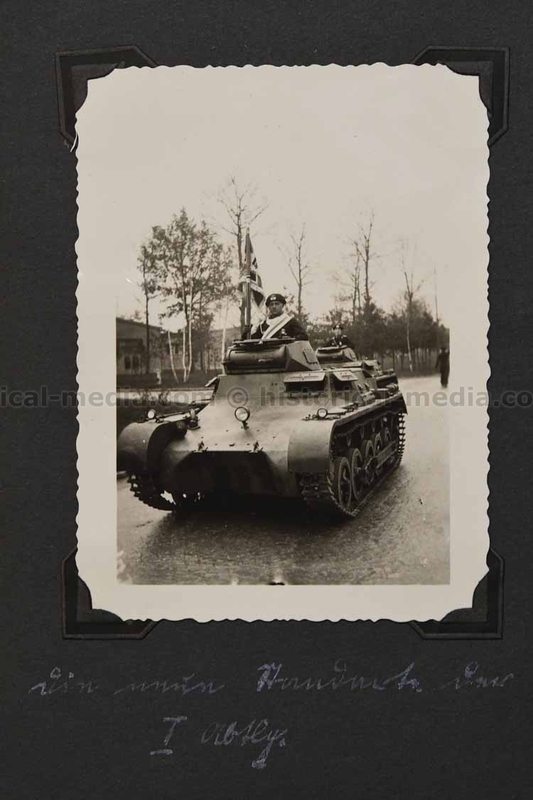 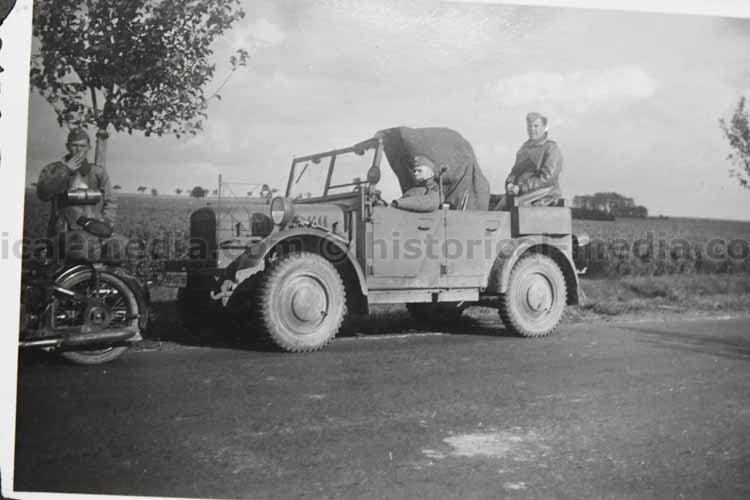 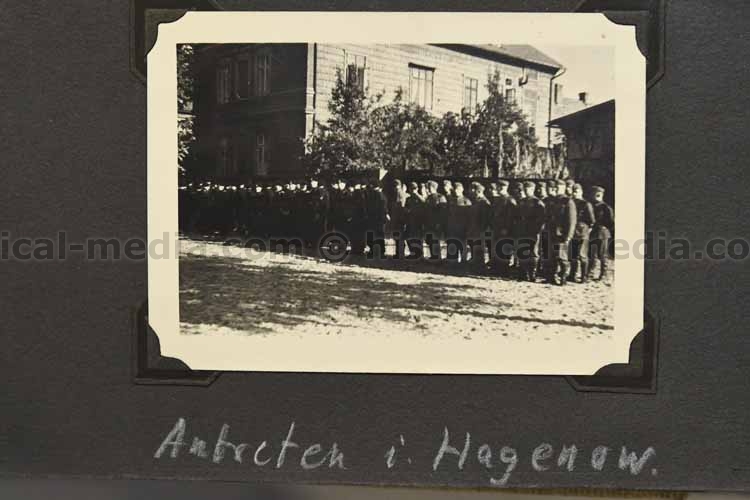 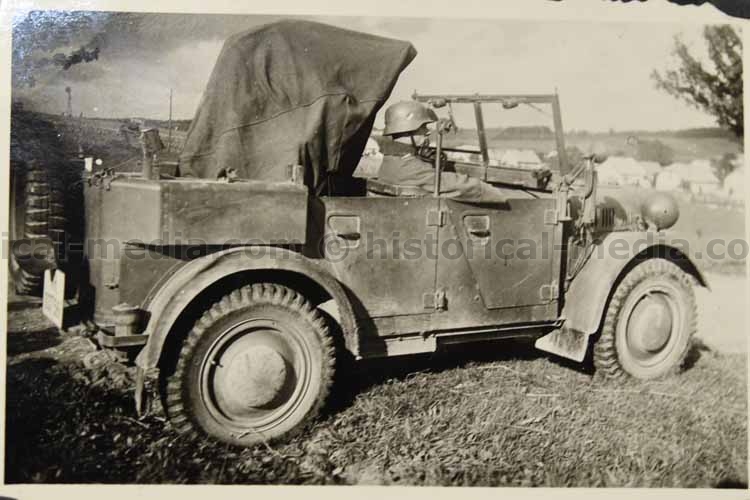 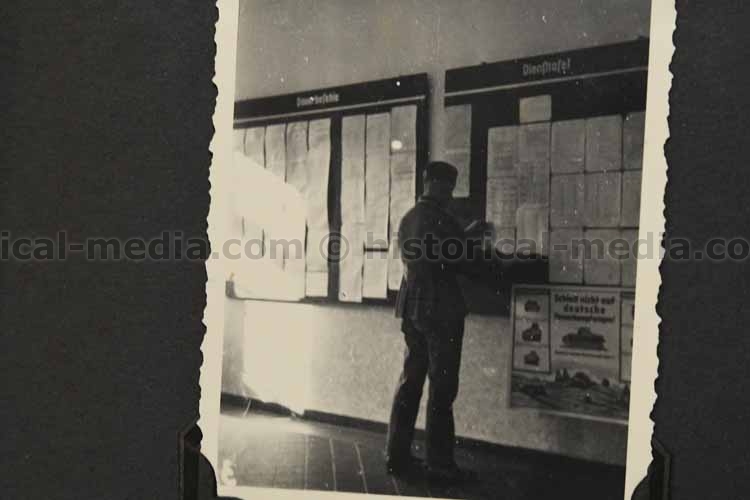 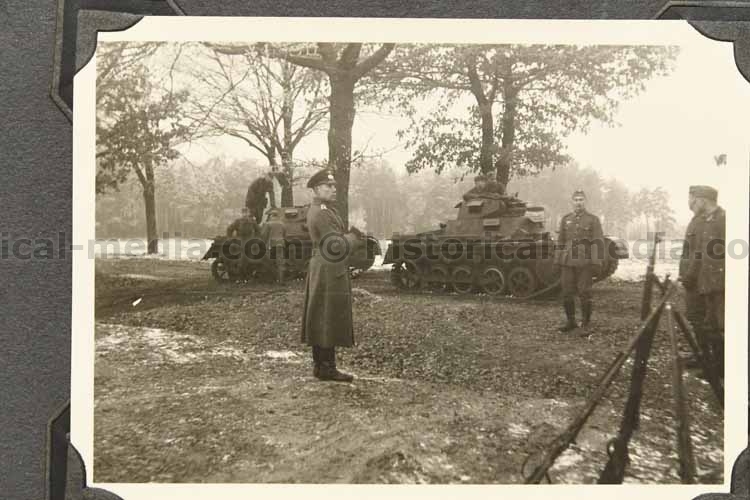 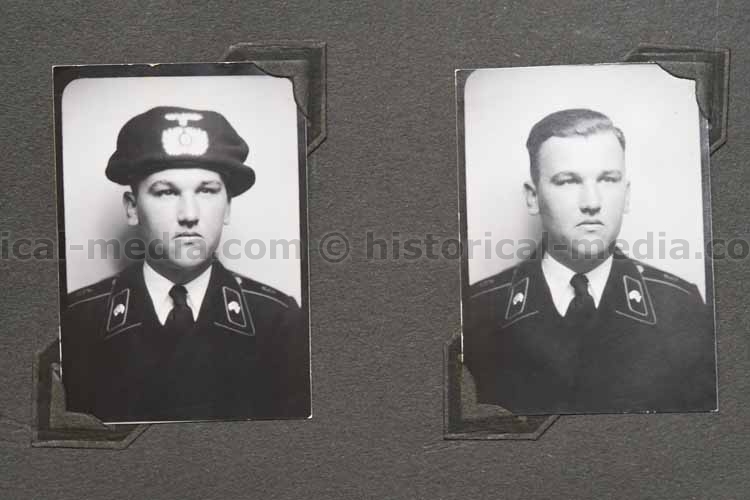 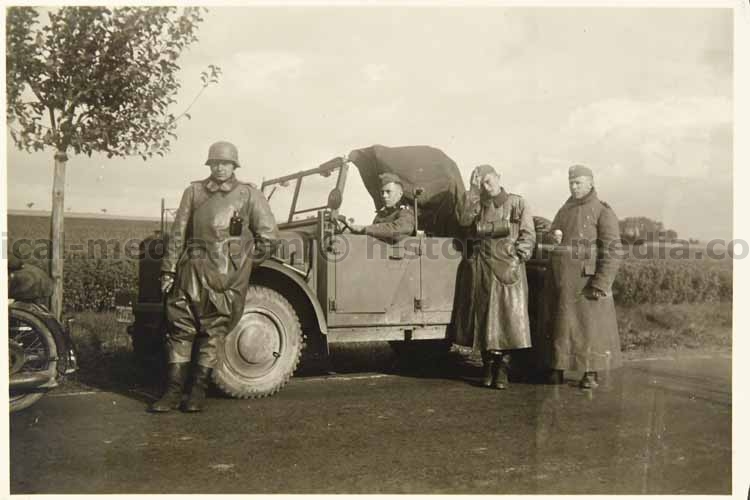 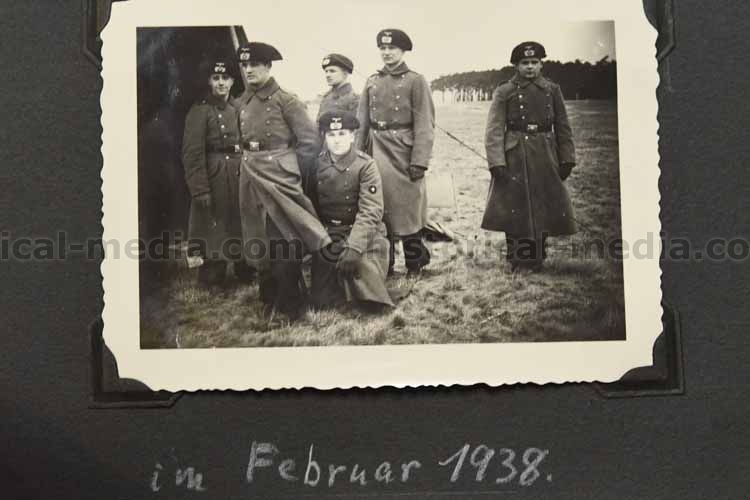 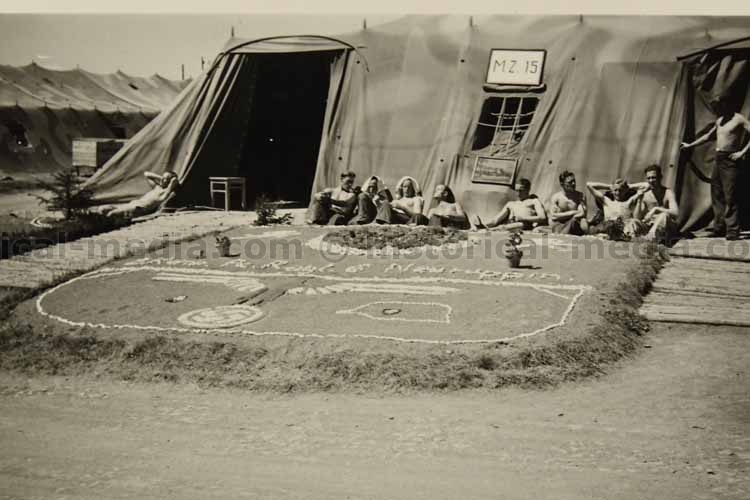 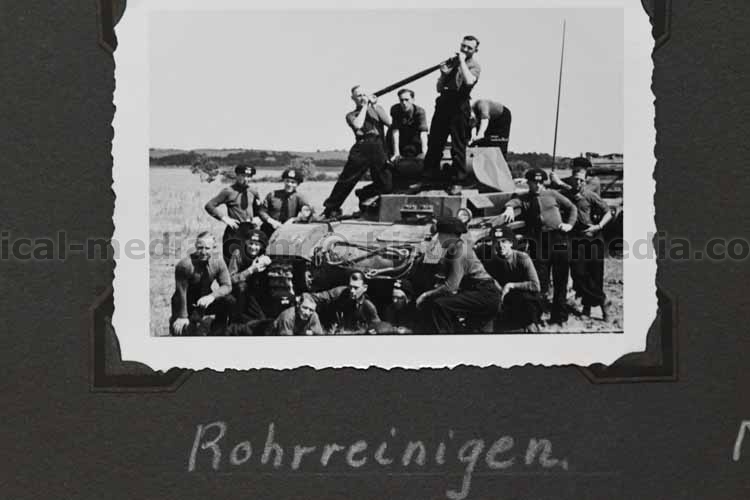 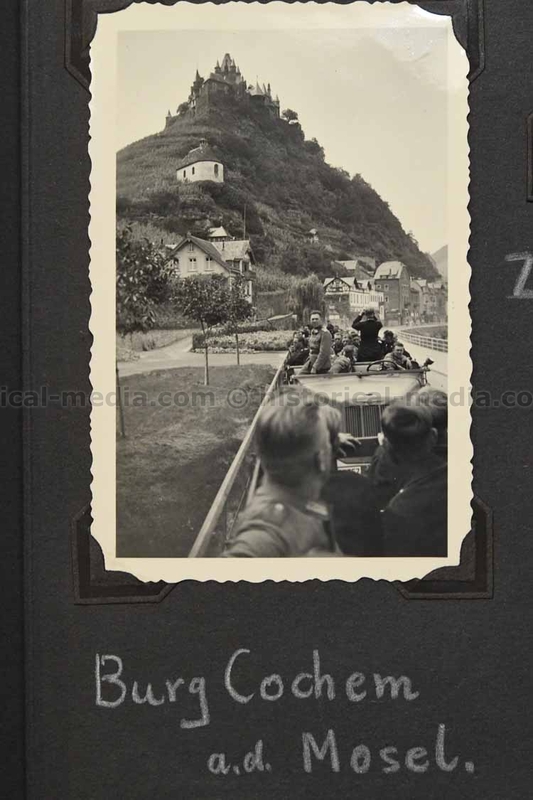 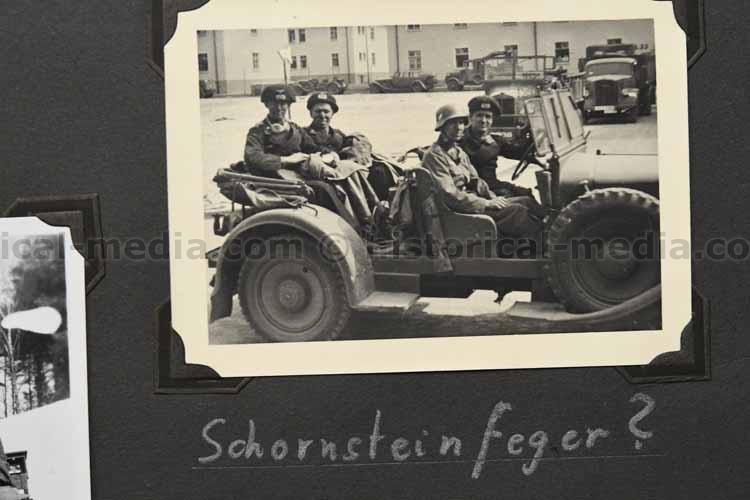 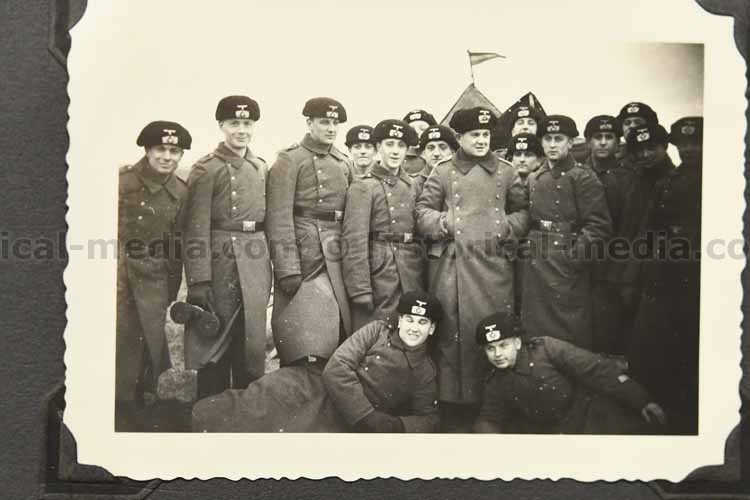 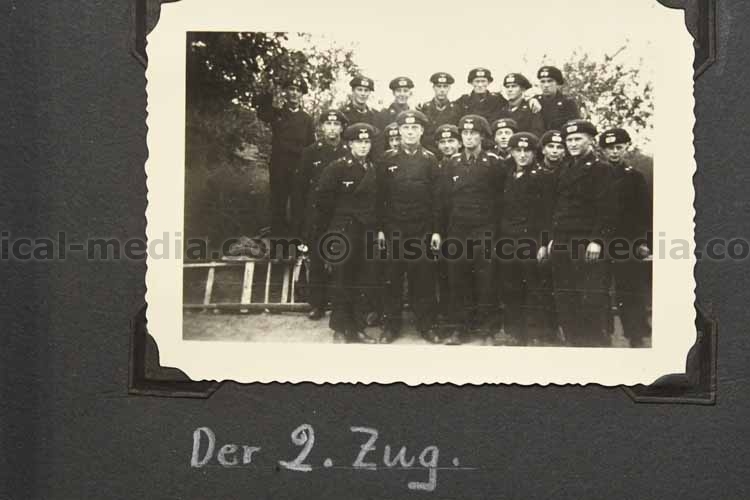 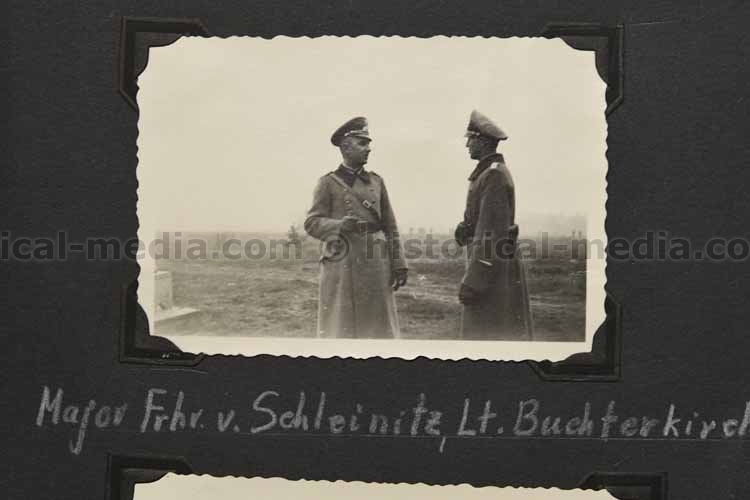 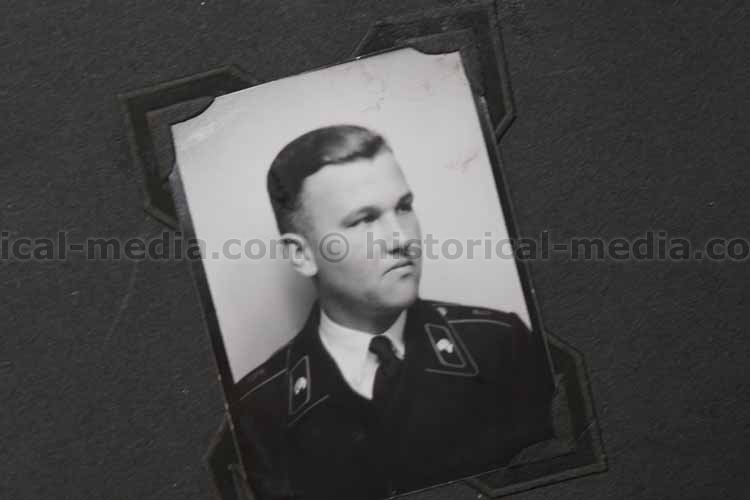 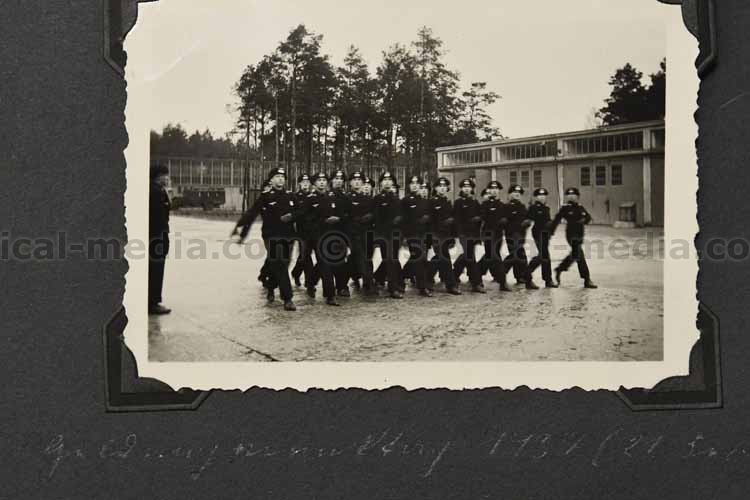 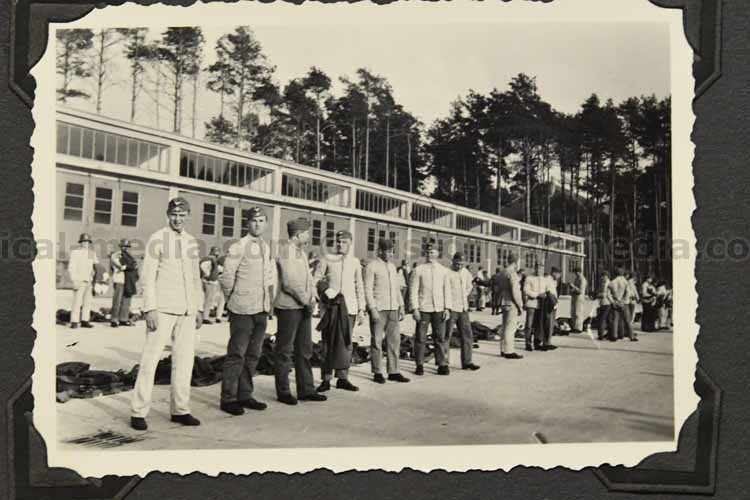 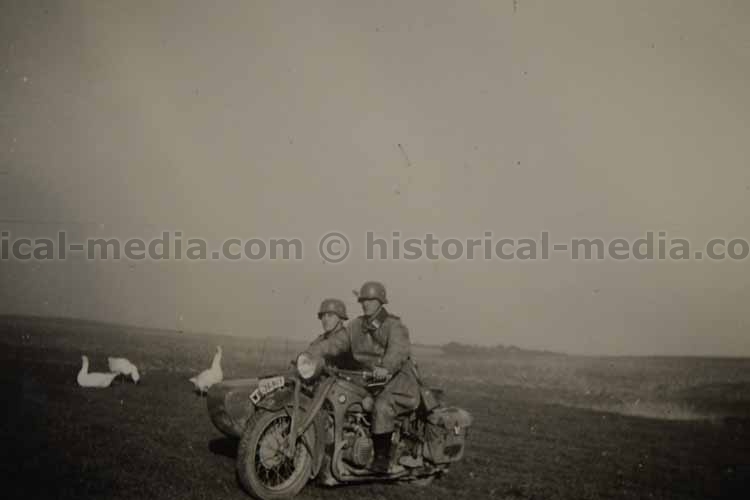 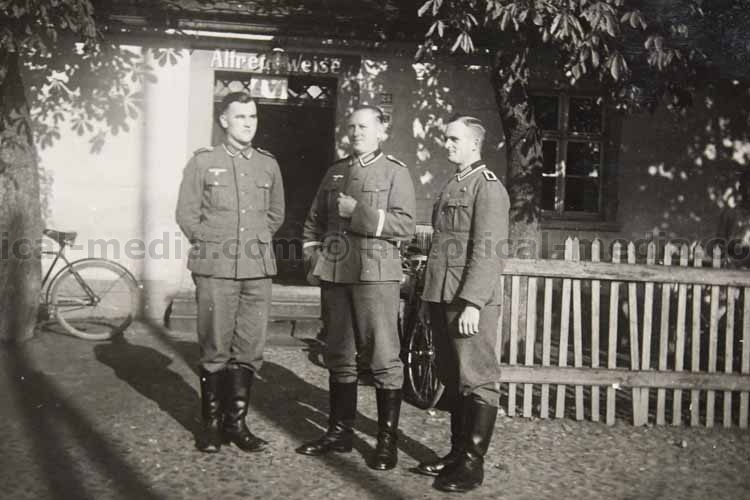 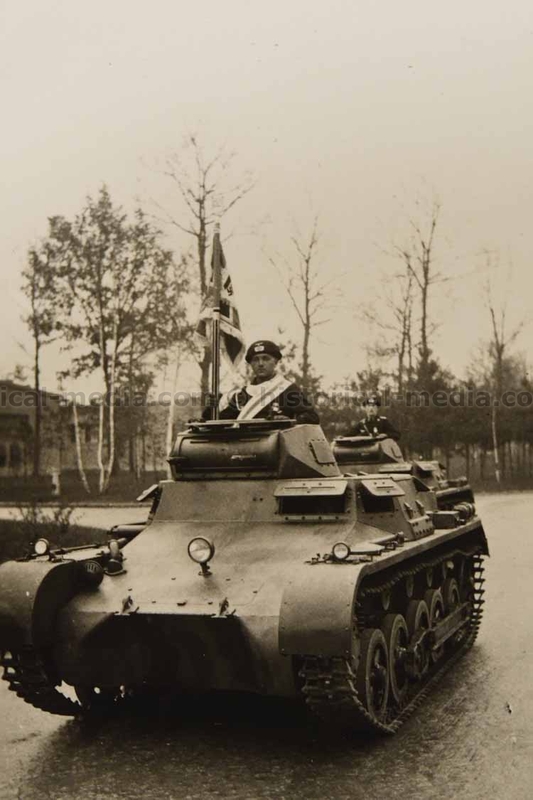 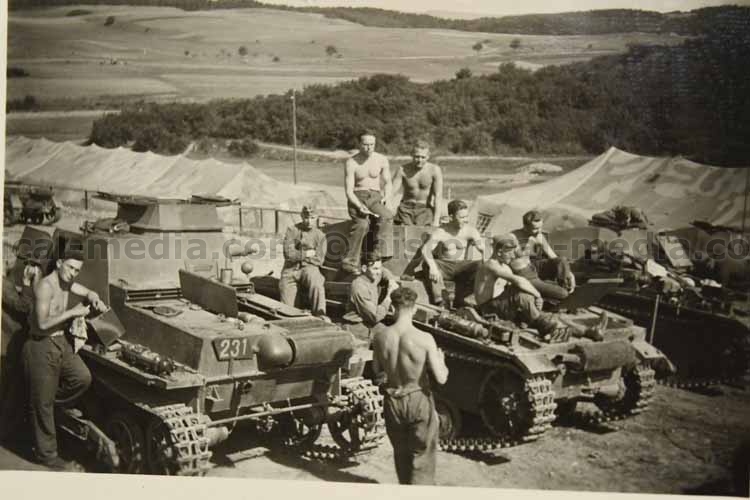 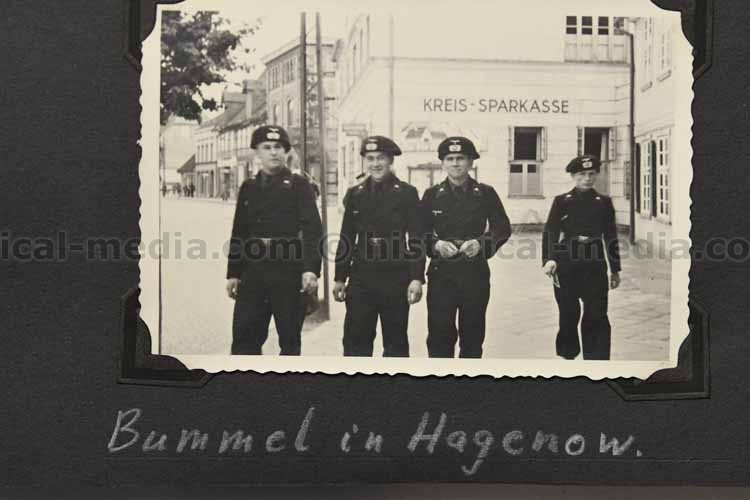 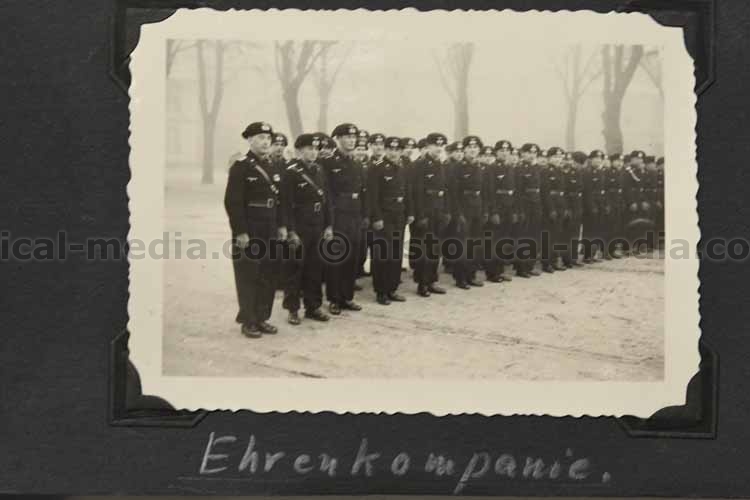 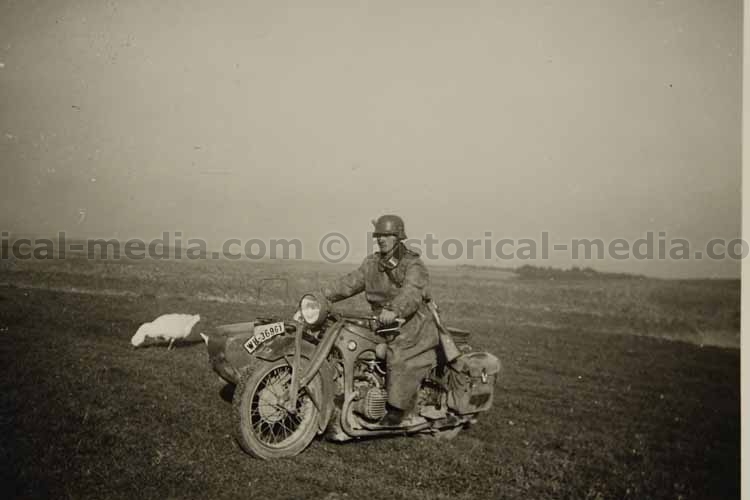 148 photos of Panzer crewman who served in Panzer Regiment 6. 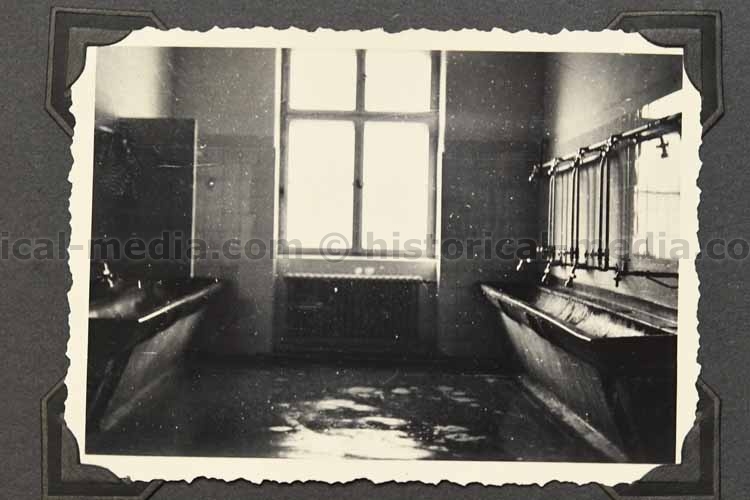 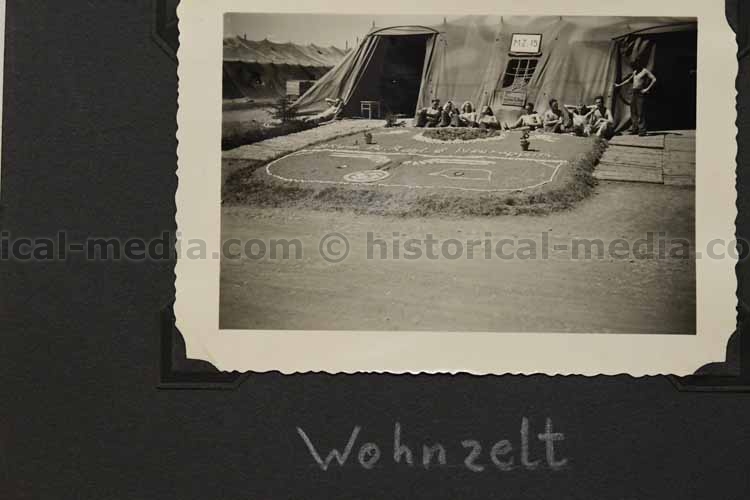 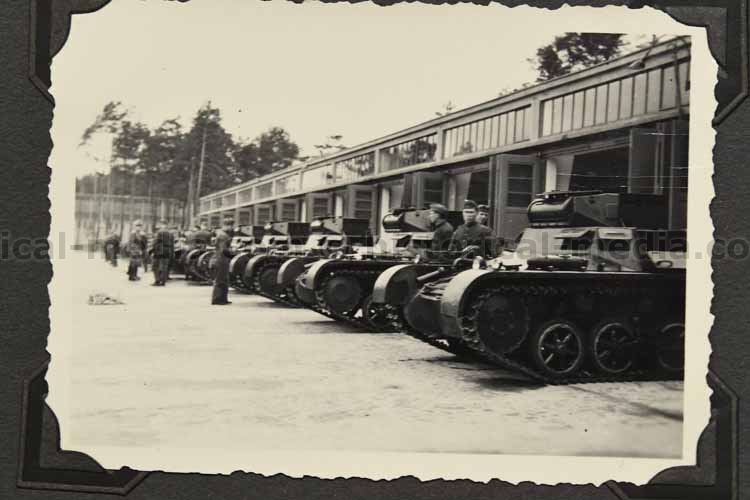 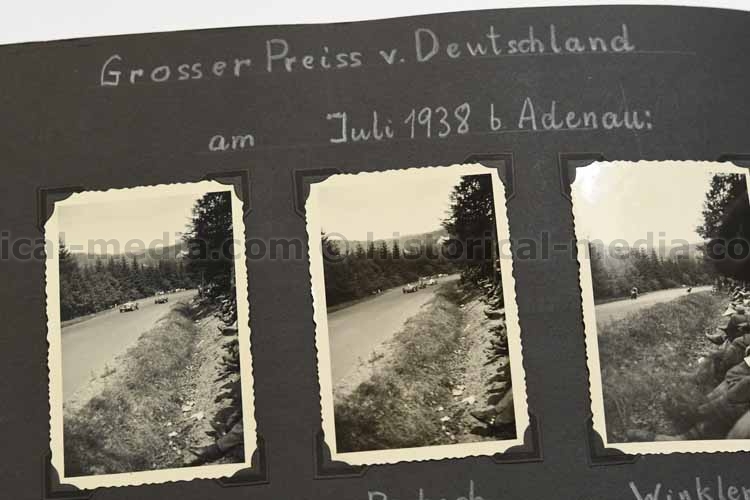 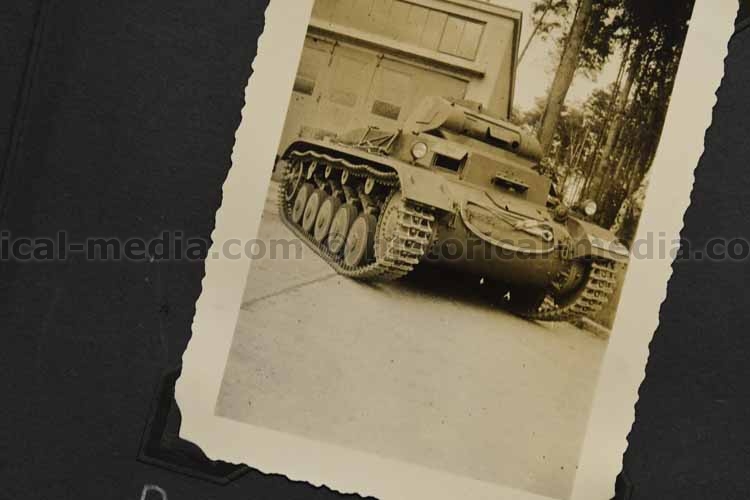 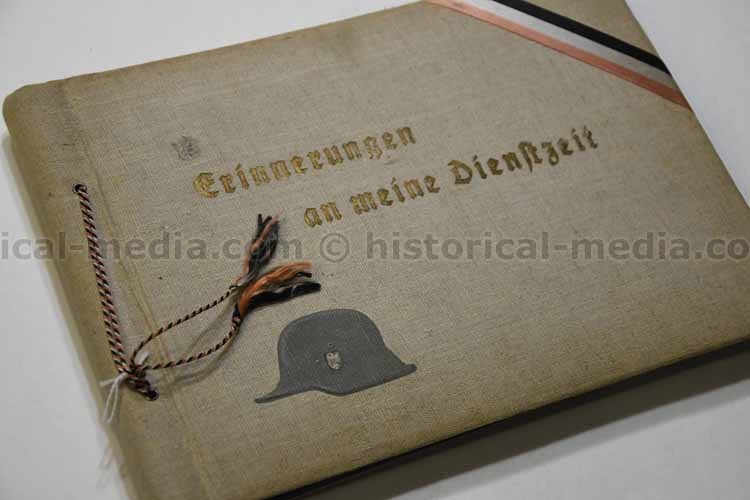 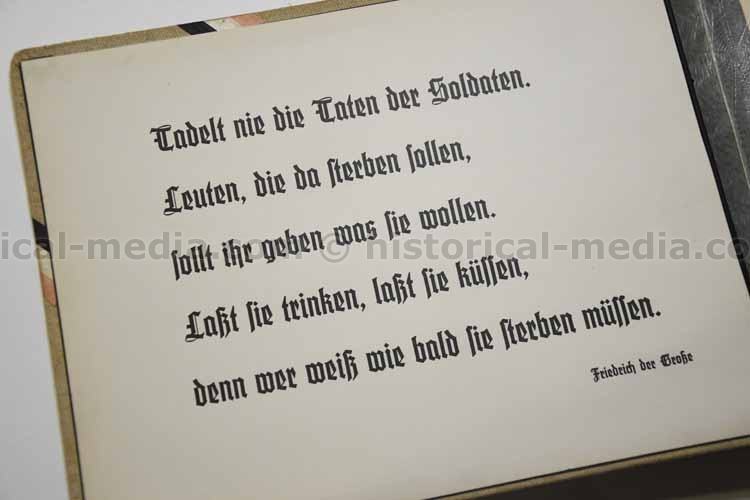 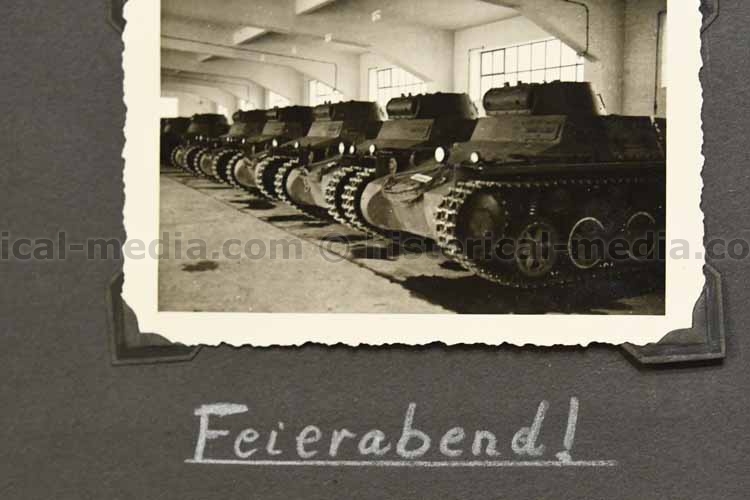 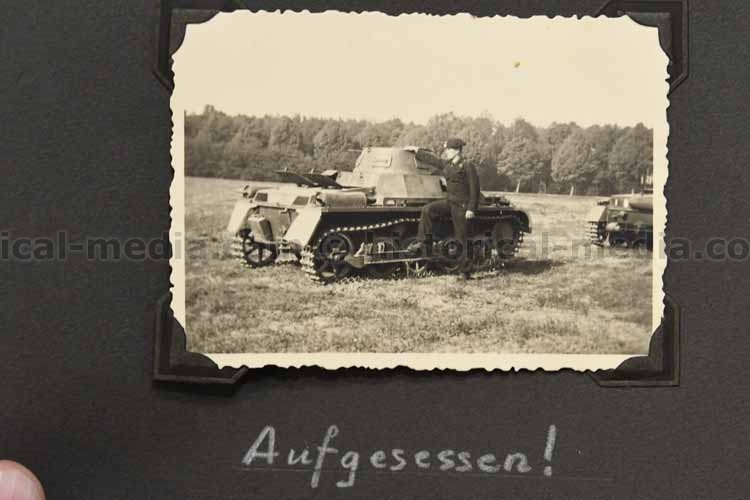 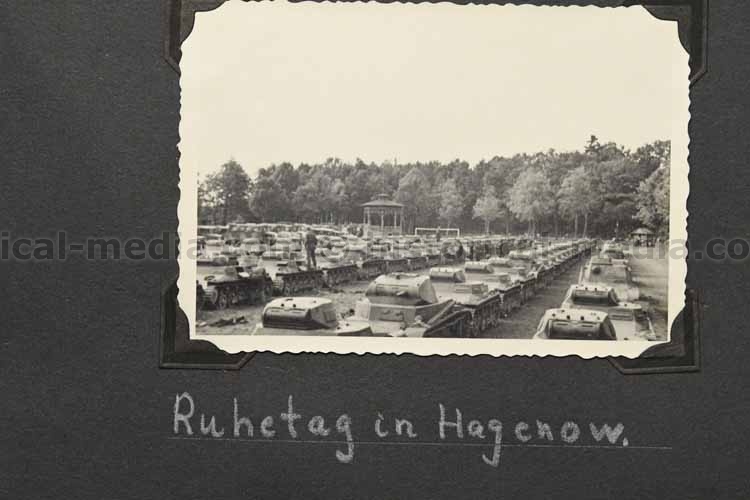 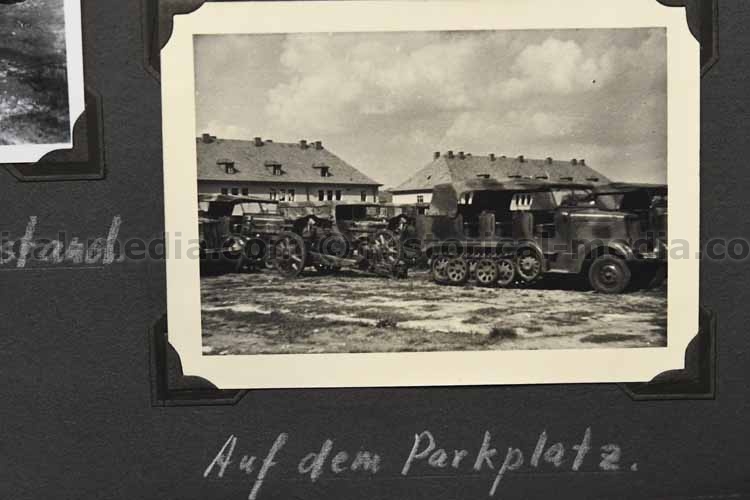 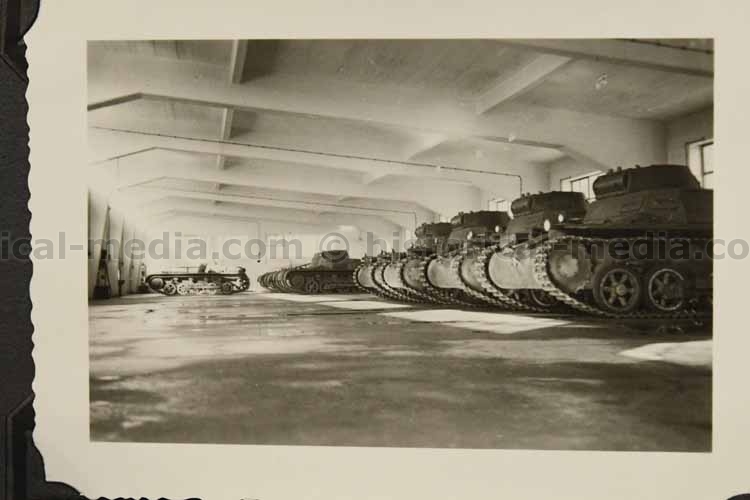 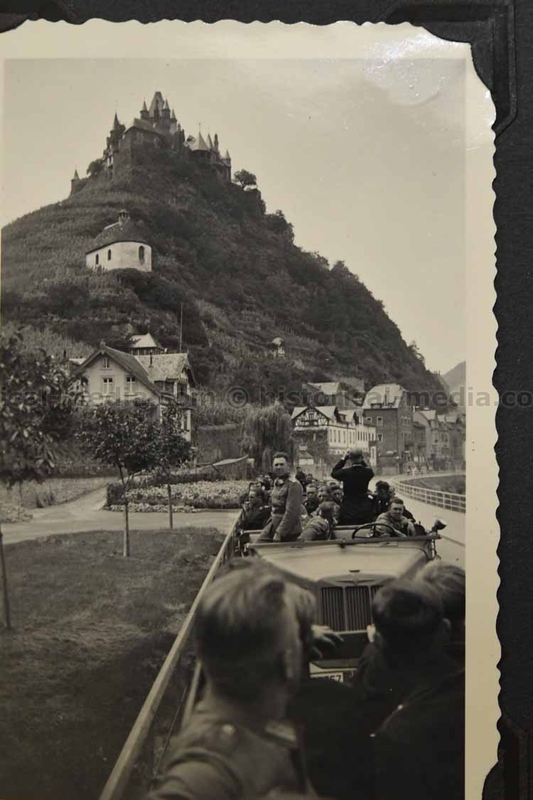 Filled with excellent photos of Panzers. 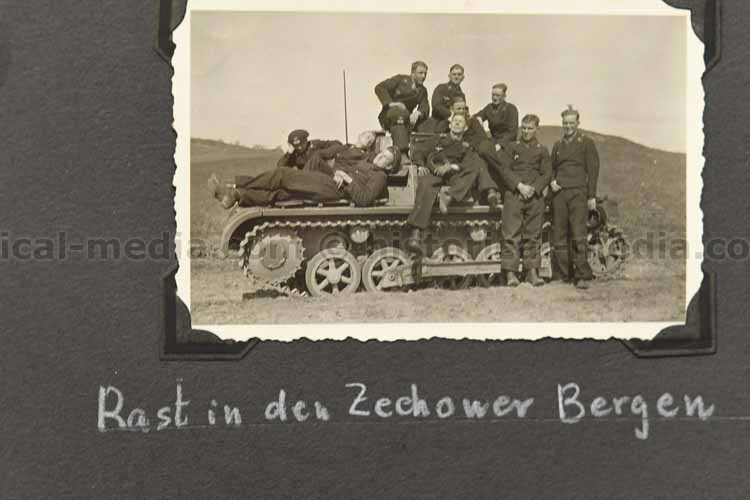 Very good photos of Panzer uniforms in wear. 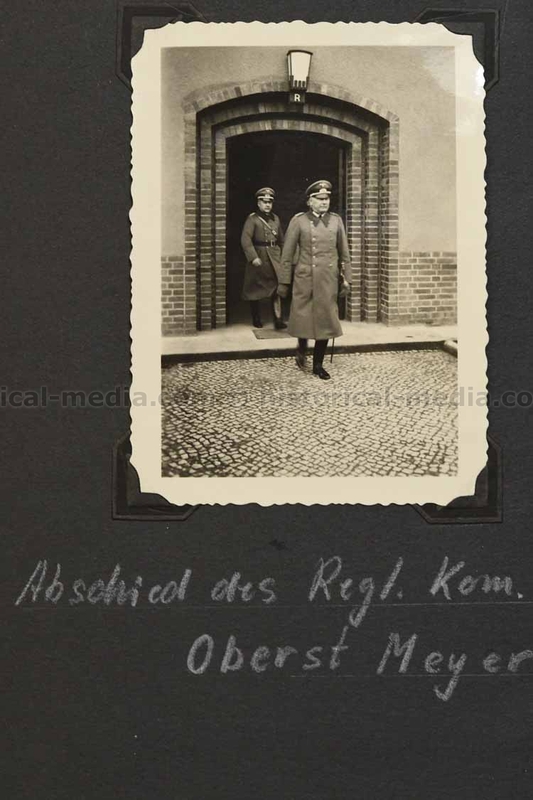 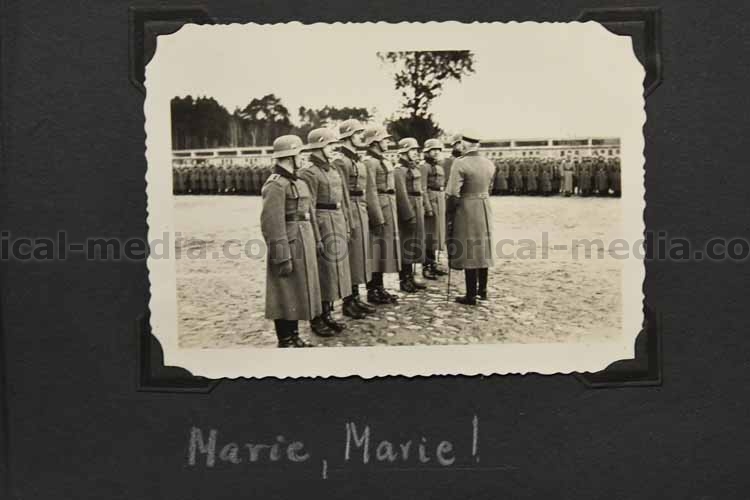 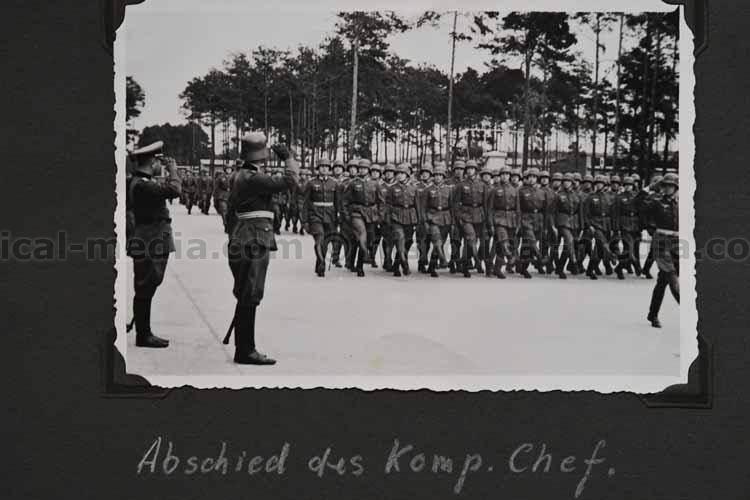 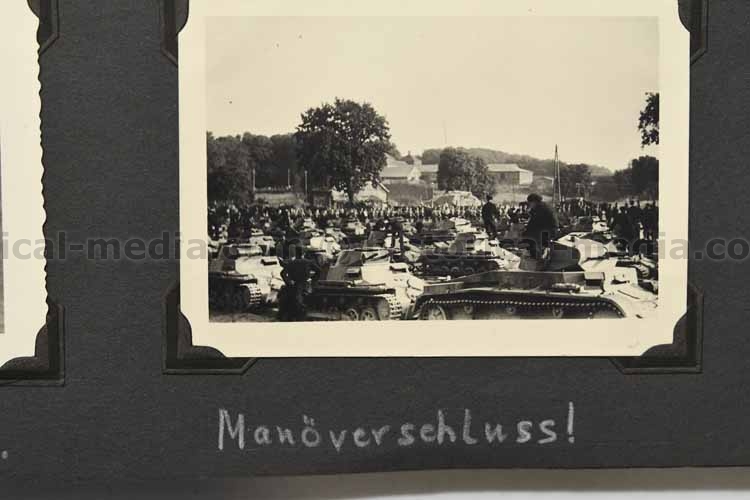 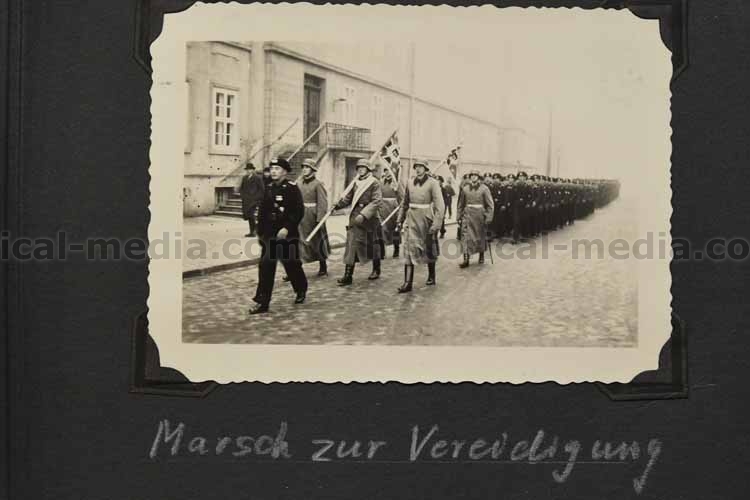 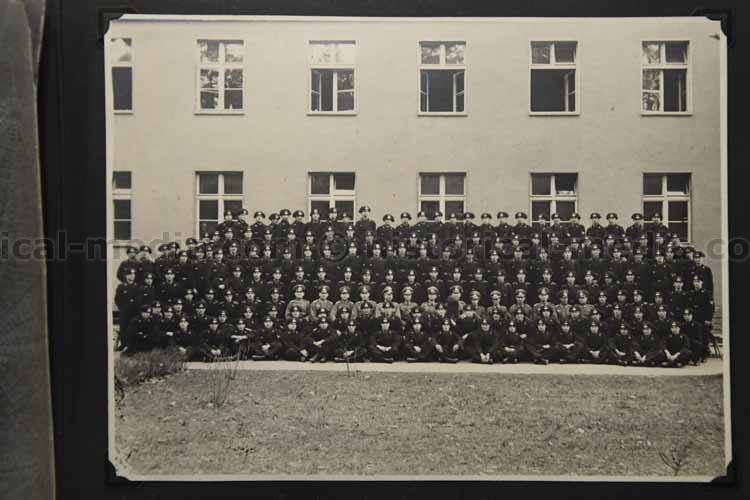 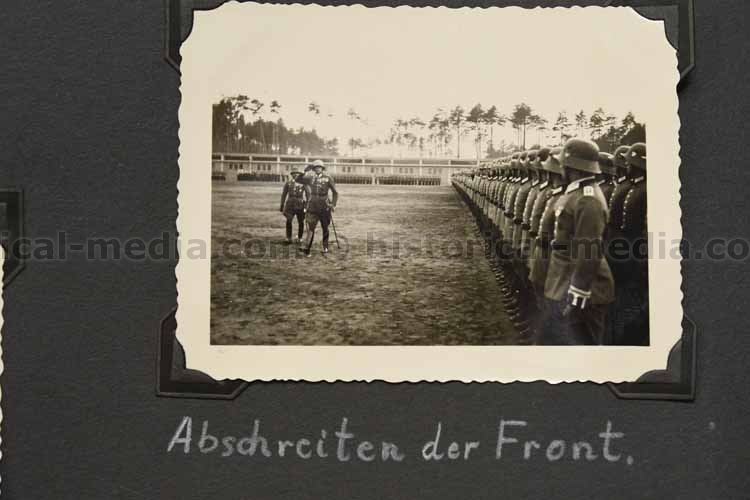 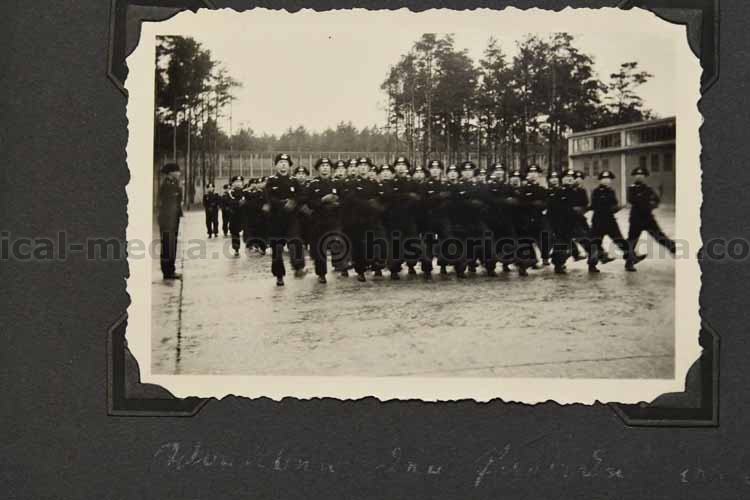 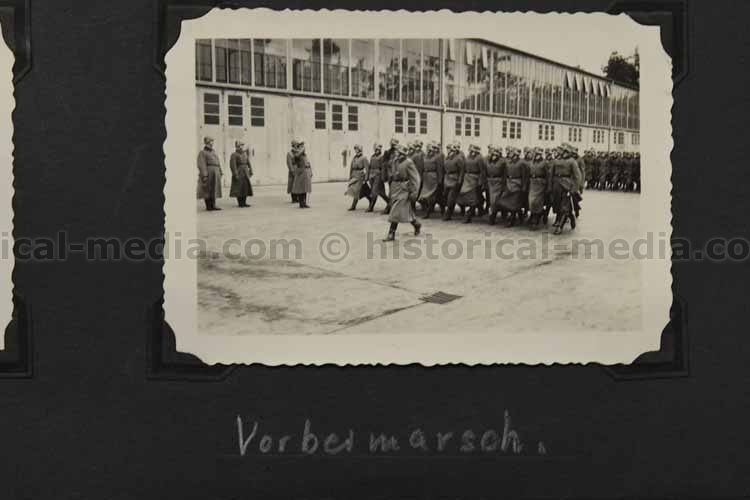 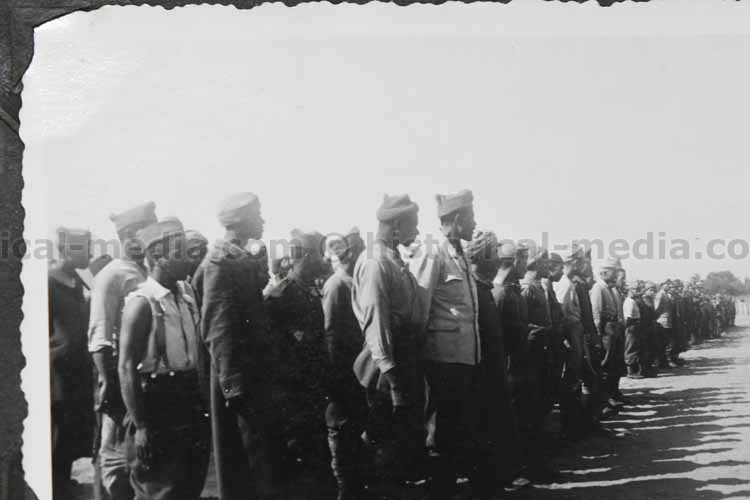 Well captioned.Large unit photo from 1937 with many Panzer berets in wear, portrait photos, great photos of Standard & Fahnentraeger in Panzer on parade, Regimental Commander Oberst Meyer who served as the commander at the Regiment's formation, many other identified officers, vehicles, maneuvers, photos of departure of Oberst Meyer, motorcycles, and more. 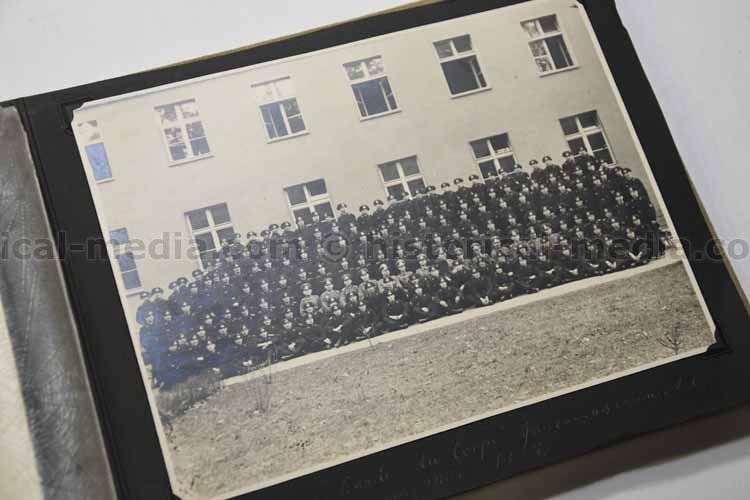 great history of the early development of the regiment!